Watch the magic unfold by removal of old needles – revealing new small growth created by our summer de candling . Learn to select buds for future growth. 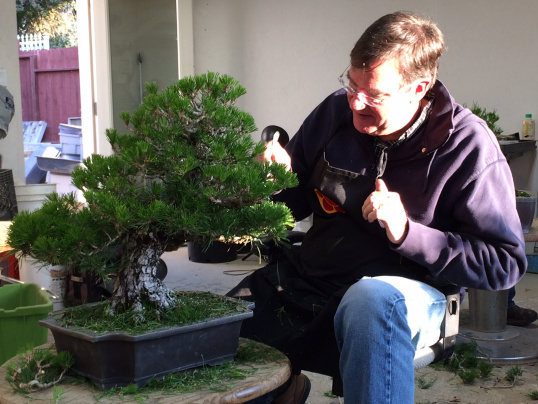 Bring your own tree or purchase one Steve has selected for this ramification class.